With my new book Phoenix now only a month away, it seems like a good time to share some inspirations. 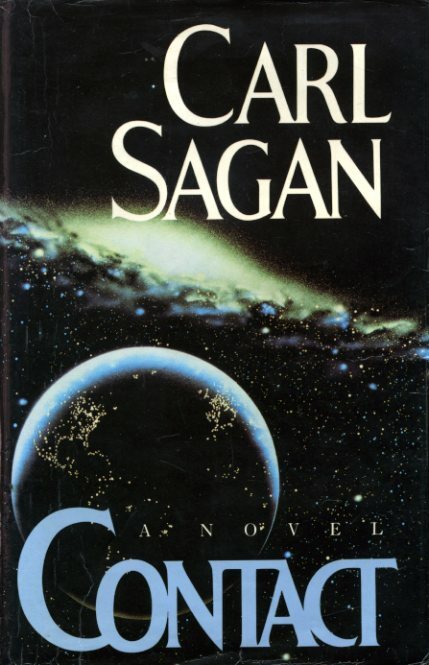 So this month, I'm recommending Contact: a brilliant novel about the first contact between humans and aliens, written by Carl Sagan. There's a film version too, with Jodie Foster, but I prefer the book – it's beautiful, original, thought-provoking science fiction, written by a scientist with a real gift for storytelling. 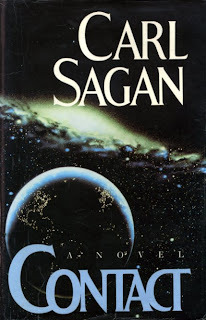 I first encountered Sagan through his amazing TV series, Cosmos. I watched it as a child in the 1980s, and re-watched it while writing Phoenix. It was one of my biggest inspirations. Apparently I'm not the only one who feels that way. Professor Brian Cox has said it meant a lot to him too – so if you liked his Wonders Of The Universe, or if you're at all interested in stars, galaxies and space, you should definitely watch Cosmos! It's all up on YouTube: here's the first episode. "If you want to make an apple pie, you must first invent the universe." Do you think this is true about writing a book as well -- to tell a story, first you have to create a whole world? That video really made me think! What a thoughtful comment - thank you so much! I think it may well be true of books – or at least, I think it helps to start with a world in which you can set a story. At the moment, I'm working on a new book called TYGER that's set in a world I've been thinking about for more than 20 years, and it's definitely feeling more real & solid as a result. Having said that, the world of Varjak Paw really developed out of the character, and the same is true of Phoenix - so in those cases, it was really the characters that came first; everything else grew around them. But then, those books took me many years to write – and maybe that's one reason why! I'm certainly hoping that TYGER won't take another 7 years!